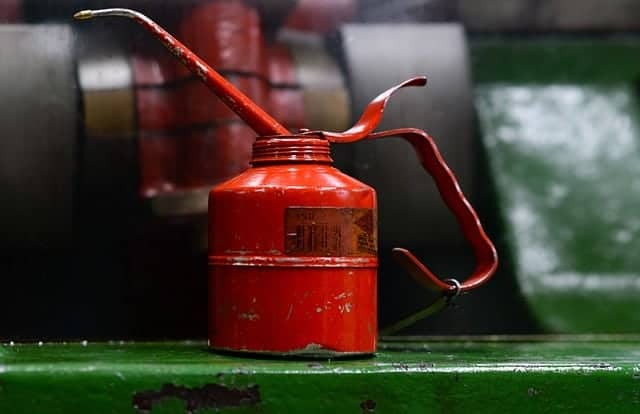 Chances are you know that you need to grease bike chains and keep door hinges from creaking, but did you know that not all industrial lubricants are created equally? The type of lubricant you use will depend on the type and size of the task you need to complete. Check out this quick guide to help you decide which best meets your needs. When you mix mineral oil with thickeners (lithium-based soap is a popular one), you create grease. Grease lubricants may also contain graphite, Teflon, or molybdenum disulfide. The stickiness created by these lubricants make them an excellent option if you need something that will adhere to the surface. They may also act as a surface protectant that prevents contamination of the machine. Great can be thin or thick and is best used on gears, chains, and other linkable parts. Use it when you need something long-lasting but skip it if you need to lubricate anything that moves fast. Oils are thin liquids created from polymer chains and additives such as antioxidants or corrosion inhibitors. Oils create a slippery barrier that is useful for keeping hinges moving, sharpening bladed, and performing tool maintenance. There are several common types of oils, including bar and chain, motor, and 3-in-1 oil. Oil lubricants are best for items with low or no resistance and should be avoided if the surfaces are exposed to water or if you need to keep the area clean. If you have something that’s stuck together, such as a nut and bolt combination, you’ll want to check out penetrating lubricants. They often can remove years’ worth of rust and other dirt in just minutes, so you can get your work done quicker and more efficiently. This type of industrial lubricant in Richmond, VA, is not made for long-lasting use, however. The low-viscosity products are only meant to break up debris, so you’ll need to use other types of lubricants on any parts you replace. Having a basic understanding of the most popular commercial lubricants and how they work ensures you find the best products to meet your needs and create a more efficient work environment.